WASHINGTON — President Donald Trump on Friday threatened a years-long shutdown of the federal government to get the money he wants for his U.S.-Mexico border wall, even as he asserted that he could declare a national emergency to build the wall if he chose to. House Speaker Nancy Pelosi, D-Calif., and Senate Minority Leader Chuck Schumer, D-N.Y., said the Situation Room meeting with Trump had been contentious. They said they pleaded with him to reopen most of the government, while setting aside the dispute over the wall — but that he refused. Republicans have struggled to stay unified in the face of the shutdown, provoked by the clash between Trump and congressional Democrats over the border wall funding. Sen. Susan Collins, R-Maine, a moderate who is on the ballot in November 2020 in a blue state, has argued that legislation that would fund other parts of the government such as the departments of Transportation and Housing and Urban Development shouldn’t be held hostage to disputes over the wall. 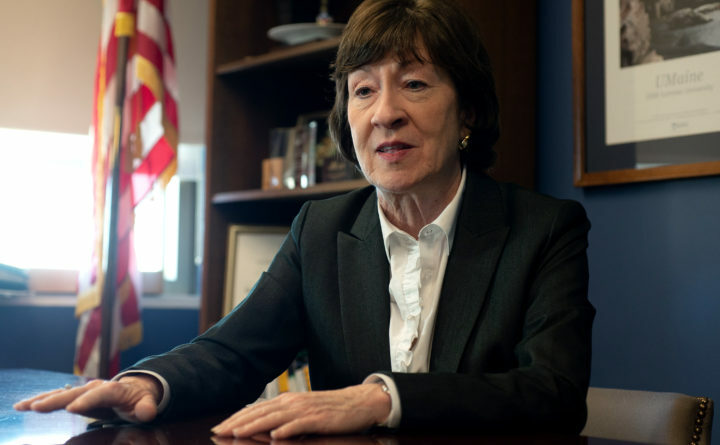 Collins, a senior member of the Appropriations Committee, indicated support Thursday for an element of the Democrats’ approach. “The southern border is a dangerous, horrible disaster,” Trump said Friday. And contrary to Democrats’ demands, he said the government would stay shut down until the issue was resolved. Pence’s efforts reflect a growing anxiety among congressional Republicans over the shutdown that has halted paychecks for 800,000 federal workers but shown no signs of ending anytime soon — trapping GOP lawmakers between the president’s push to fund his signature campaign promise and the shutdown’s spreading consequences. “‘Mr. President, keep going, this is far more important,’” Trump said these workers would say to him if they could.